“We come here at least once a week – the service and food are excellent. One of the best places and our dog loves it too! 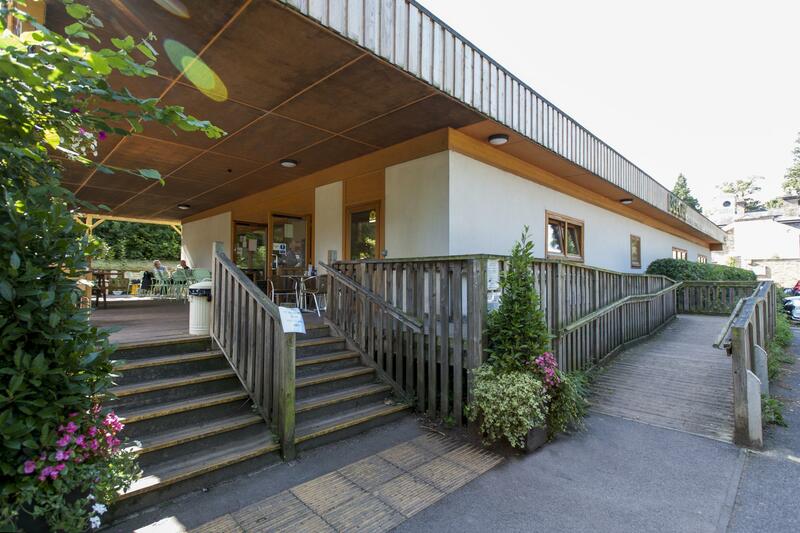 With its single storey timber frame and eco-friendly sedum roof, straw bale walls and sun pipes, The Green Roof Café forms part of Bromley Environmental Education Centre (BEECHE) at High Elms, offering the opportunity for relaxation and replenishment whilst you explore and enjoy 250 acres of mature woodland and pretty meadows. The park is adjacent to High Elms golf course, which offers views of mature oak trees, bunkers and green fairways. 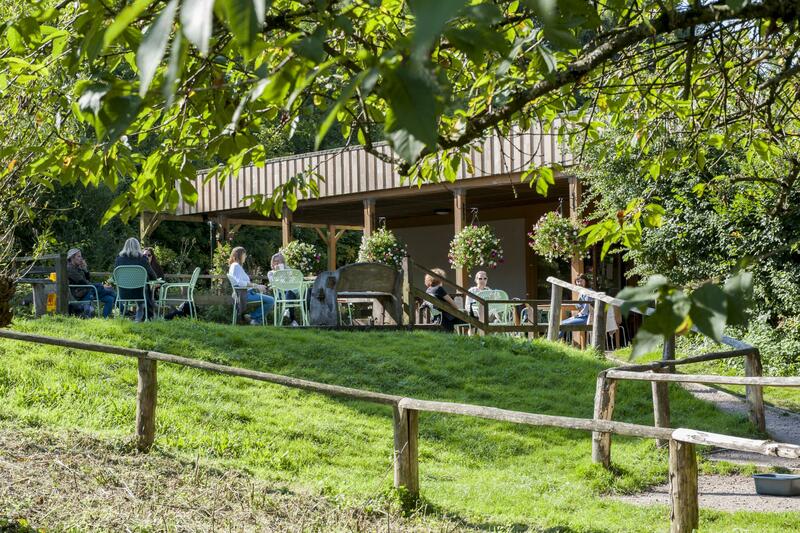 Popular with cyclists and walkers, often accompanied by their dog, The Green Roof Café makes an ideal starting point before setting out, or an ideal place to relax at the end of your excursion. There is plenty of free parking, which allows you time to relax and enjoy the tasty food and stunning scenery. We have indoor seating for 36, with additional 60 on the covered terrace. Dogs and their owners are always welcome and will find bowls of cold water, chews and even sausages as an extra treat. Our imaginative Chef Manuel makes fresh daily seasonal specials and his homemade soup is legendary! As part of our belief in sustainability, we always try to support the local community and we sell refreshing organic fruit juices, made in the pretty Kent village of Lamberhurst. Our popular golden honey is made within touching distance, by our busy bees. We have been awarded two stars by the SRA for our work in environmental matters and other areas such as staff welfare and training. We also hold the highest rating of 5 stars from the Environmental Health Agency for our hygiene and safety compliance. We serve dairy ice cream, local fruit juices along with our freshly ground coffee, and after 7 years we are now firmly established as Bromley’s favourite Cafe. Food sits at the heart of our culture – it’s not just what we eat that matters but how it’s grown, made and served that makes for a truly satisfying experience’. 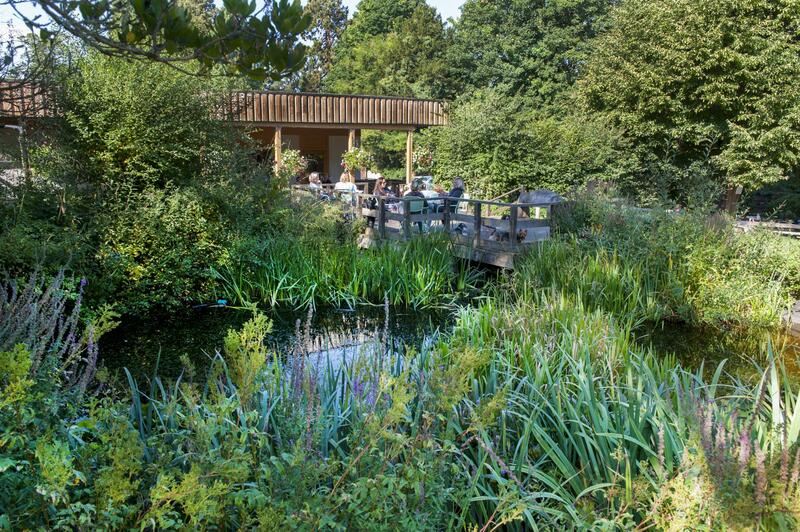 The Green Roof Café is often referred to as ‘Bromley’s most picturesque Café’. Why not take time to enjoy the changing seasons and relax. We would love to see you.